Read the McIlvain Lumber book written in 1948 for our 150th anniversary. The strong roots of the Alan McIlvain Co., located 10 miles south of Philadelphia, have proven sturdy over the 218-year span that the firm has been in business. When Hugh McIlvain, a Quaker of Scotch-Irish descent, opened the doors of his lumber company in 1798, in Philadelphia, he planted seeds that would continue to grow for generations to come. 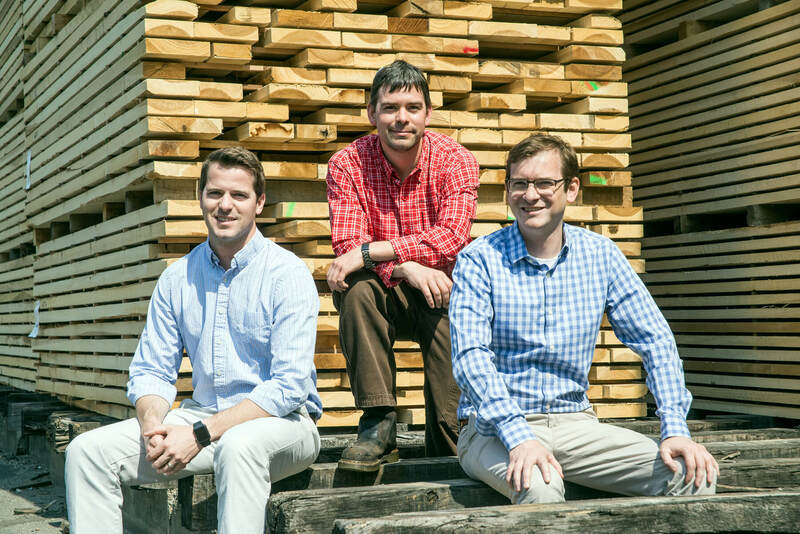 Specializing in FAS grade 4/4 through 16/4 Northern Appalachian and Imported Hardwoods, the Alan McIlvain Co. leans on its history and convenient location for the stability needed to service customers. In the late 1700’s, the company used rivers and canals to transport lumber from sawmills to their lumberyard. The early McIlvain customers were carpenters, furniture makers and industrials. By selling lumber to home construction companies, the company overcame one of its first obstacles: The Embargo Act of 1807, which stopped all shipments to and from American ports. By 1834, the first rail/canal connection was completed from Philadelphia to Pittsburgh, which conveniently ended right at the McIlvain’s door, presently the location of Philadelphia’s 30th St. Station. This marked the beginning of the railroad era, bringing about numerous opportunities for the McIlvains. In 1906, the McIlvains had yet another obstacle to hurdle, when the Philadelphia lumberyard was destroyed by fire. About 12 million board feet of lumber and sheds went up in flames, letting off a glow that could be seen as far as 60 miles away in Atlantic City, NJ. The company remained strong after the fire and was able to continue doing business because of a delivery that carried 138 carloads of lumber, which was already in route before the fire broke out. During both World War I and World War II, the McIlvains used their established reputation to again provide lumber to shipyards. Shifting gears in 1946, the company closed its retail store and began selling only to industrial clients. Today, the Alan McIlvain Co. has 90 employees with Alan Mcllvain III, Jordan McIlvain and Weld McIlvain of the 7th generation running the business. Passing the tests of endurance and trial, McIlvain ancestors have succeeded in the lumber industry. Seven generations have proven their strength and reliability in providing lumber and millwork all over the world. 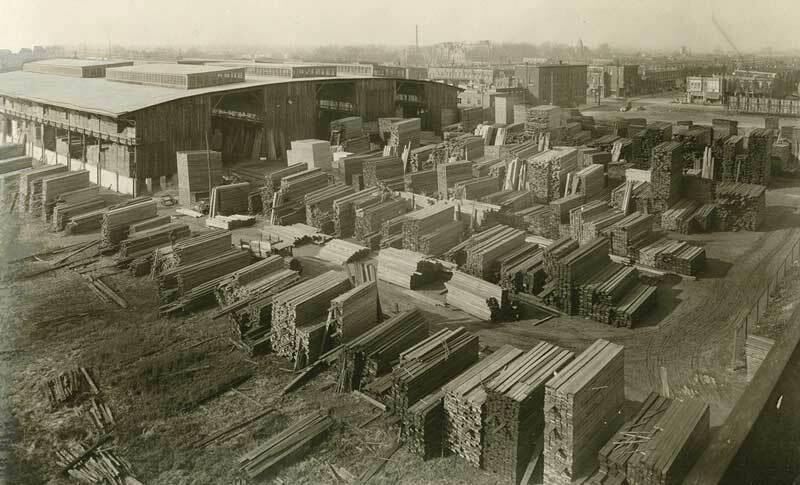 For a more detailed history of the McIlvain Lumber business from the book Philadelphia Hardwood 1798-1948 click here. Customers like Lane & Bros., a carriage business, bought lumber from the McIlvains, which helped the company to retain their stability. During the Civil War, lumber was used in factories to construct arms and war-related items. By 1868, the third generation of McIlvains was running the family business and their contagious popularity continued to spread, due to the quality service they provided. 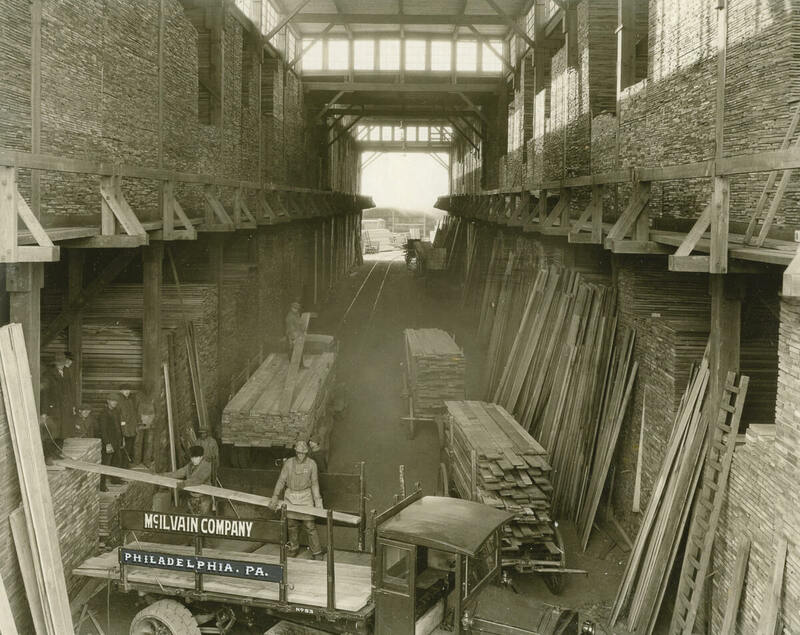 In 1872, the University of Pennsylvania called upon McIlvain Lumber Company for materials needed to build its new campus in West Philadelphia.